Gray grasped as much hair as she could get inside her hand, pulled it over her shoulder, took the scissors, and cut through the chunk in one long snip. She swore she could hear her sister’s scream the next morning. OMG I found this totally by accident on Amazon for FREE! I started reading it and couldn’t put it down. I love it! 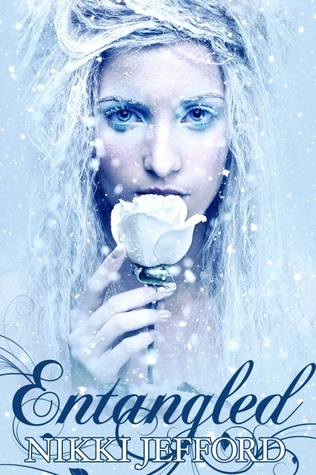 This entry was posted in Teaser Tuesdays and tagged Cynthia Stacey, Entangled (Spellbound #1), Nikki Jefford. Bookmark the permalink. Sounds interesting. Love that teaser! Thanks 🙂 it is a surprisingly good read. Wondering why she is whacking off her hair! It is a really good reason, but I won’t tell…I hate spoilers..lol thanks for stopping by and comenting. Now I’m really curious! Going to have to check my library for this book. That is a shocking scene! Thanks for sharing…and for visiting my blog. A good FREE book sounds awesome! Cool teaser, you’ve definitely grabbed my attention! Perhaps I’ll have to check it out! Happy reading! My Teaser. OOh interesting! And a powerful moment I suspect! Thanks for visiting my teaser! Gorgeous cover. Isn’t it fun when you find a book like that? And especially for free! That teaser drew me in completely. I’m off to see if it’s still a freebie. Thanks for visiting my blog. And I wonder, did she cut off her hair or her sisters?